Our apartment sea side impresses with a living room with kitchenette in the large glassed-in porch. From the white door you step out on the wooden balcony and watch the hustle and bustle on the promenade. The blue sea shines through the old pine trees. The beach entrance is right in front of the villa. 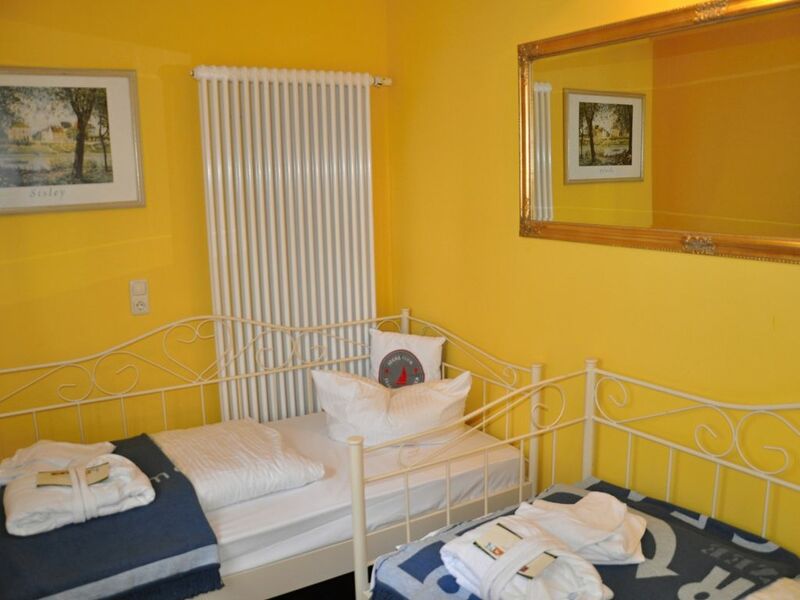 Perfect for families: in addition to the bedroom there is a small children's room with two single beds. Cuddly pillows and blankets spread comfort and maritime ambience. And to the wellness area and the restaurant 1900 in the Aurelia Hotel St. Hubertus is only a few steps away. If you prefer a little independent holiday, you will find the right travel accommodation in our beautiful apartments. Ideal for families!With a small kitchenette, you have the choice of preparing your own meal or making tea. The separate bedroom creates privacy. Again, you will find all the amenities of our other room types.